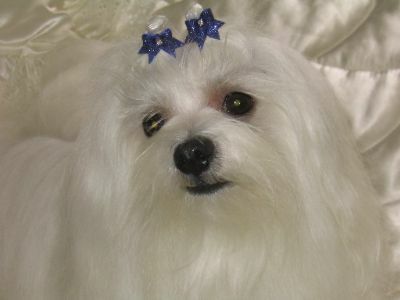 I got my first adult Maltese Tessa - Valday Contessa from a breeder in York England in 1978. We all fell in love with the breed so purchased a male puppy Toya - Reills Toyari Treasure. In 1980 we returned to Perth W.A bringing our two Maltese with us. Maltese have been a big part of our lives ever since. Initially we showed and bred a few quality Maltese. However, at the time due to other commitments was unable to continue showing. In 2003 I was very fortunate to purchase and show my first Hazelwitch Maltese Bella- Aust CH Hazelwitch Prima Belrina. Followed by Beau - Aust CH Hazelwitch Mr Bojangles, son of Aust CH Hazelwitch Sir Lawrence and brother from a later litter to Aust Grand CH Hazelwitch Master Kozzie. I have been a registered member of the Canine Association in WA (Dogs West) Reg No 6007183240 for many years. During this time have bred and shown offsprings from Bella and Beau, also acheiving their Championships. I am only interested in breeding quality Maltese to a high standard, combined with the sweet nature and temperament that the Maltese are renowned for.